This is an immaculate, recently refurbished B and B, with warm welcome, large rooms and on site parking which is a real bonus in this busy little place. Great freshly cooked breakfast and a good choice of fresh fruit etc. Everything within walking distance and a bar service with outside seating. Excellent location. Once arrived parked car up and everything was walking distance. Hotel clean and spacious family room. Owner friendly and gave asvice on local amenities. Breakfast made to order was brilliant. All in all a brilliant vacation. Thank you Gordons. We had a one day stay to see countryside in Cheddar Gorge. Our stay in Gordons hotel was brilliant.The owner Rory and his wife Jola could not have been more helpful and friendly, dealing with all of our requests efficiently. Our superior room was a good size with a very large comfy bed. Clean, spacious, facilities all freshly decorated and tidy. Breakfast was superb with great service. Fantastic hotel. We definitely recommend this hotel and we will come back one day. Thanks! We had an enjoyable stay and felt very welcome as we were there early waiting in the xar and the managet came out to greet us and asked if we would like to check in early. The room was exeptionally clean and has everything you need and the owners couldnt be more happy to help in whatever way they can. Breakfast was the best and plently of it as well as the choice to have extra of everything so left you feeling full. Will definatly be going back. We really enjoyed our stay at Gordon's.The owner Rory and his wife were excellent hosts and extremely friendly and helpful. The room was lovely, very well equipped and comfortable. They also provide a great breakfast. This place is very well run and spotlessly clean! We had rotten weather but it didn't spoil our stay and we would definitely come back one day. Thank you!! Perfect rooms in beautiful surroundings. Warm and homely personal touches through out. Incredibly welcoming, top quality breakfast and superb value. Cannot find fault. Looking forward to our next stay. Very clean rooms and wonderful service. Thank you very much! Really smart place to stay. Immaculate through out. Great breakfast and very friendly.Will stay here again when next in Cheddar. Spent a weekend at Gordon’s and I’ve got to say say it was one of the best weekends we’ve ever had. Rory and Jola are perfect hosts, nothing too much trouble, a pleasure to chat with and a good laugh, which makes the stay even better. The hotel is faultless, almost clinically clean, food is amazing and the hotel is perfectly situated. We chose Gordons because of the excellent reviews and all I can do is add to them, it really is as good as you can get and we will definitely go back. Plenty of eateries and drinking holes all within 5 minutes walk as is beautiful scenery and amazing walks, though some are quite, shall we say, challenging, Rory will give you all the info you need. If you decide to visit Gordon’s it will be one of the most enjoyable experiences you’ve had. ENJOY! Very lovely owner who made us feel very welcome and comfortable during our stay. Many thanks and hoping to visit again in the future. An exceptionally well decorated, laid out and operated B&B, at the base of Cheddar Gorge, ideally suited for touring the area, Breakfast was fantastic, service was excellent and very friendly, imho a tiny bit pricey given room size/facilities, and parking is a little tight, but there is a big P&D car park opposite, I most definitely highly recommended Gordons, and would stay again. A great place to stay. 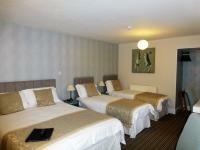 rooms well equipped, clean and comfortable with excellent breakfast provided. walkable to all local amenities. fantastic hospitality by owners who were helpful and accommodating to all requests. will stay again when in the area. Great B&B, great location, great hosts, room was very clean and spacious. We thoroughly enjoyed our stay. Second time here and I'll keep coming back. The room is spotless and well cared for. You can tell that the owners take great pride in making their customers have a really positive experience. From the moment we arrived to the moment we left,we had a great welcome every time.A lovely, bright and well appointed room.Fab breakfast each day.What more can I say, we enjoyed staying here and will definitely book direct again when we’re in the area. Nice B and B with excellent breakfast. Hosts are very friendly. Would highly recommend. Only stayed overnight, but thoroughly enjoyed it there, the breakfast was freshly cooked to order and served to you on a hot plate, and was great. Lovely host, lovely room and location. Really good value for money and attentive staff at breakfast which was delicious. Although brief, I thoroughly enjoyed my stay. Thoughtful touches, delicious breakfast. Would highly recommend a stay when visiting Cheddar. Gordons is a fabulous place to stay, with rooms in the main hotel and also in a separate building overlooking the pretty garden and outdoor swimming pool.The owner was very friendly and helpful.Everywhere was really clean including all the fixtures and fittings. Reasonably priced would definitely stay again. A very pleasant relaxing stay. Roomy nice, bed comfy, shower nice &hot &breakfast cooked fresh. 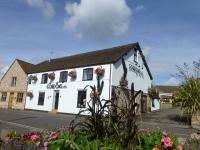 Situated in village &close to Cheddar Gorge, many places to eat within walking distance. Great central location in Cheddar and very helpful and friendly owner and staff.Close to lots of tourist spots, restaurants and shops. Our room on top floor was really good. On arrival friendly welcome, room bright and clean. Excellent breakfast also great location for Chedder . Would stay again. We really liked to stay a Gordons. Very comforable room. Perfekt breakfast and very nice hosts. Very nice interior. And place to park the car. 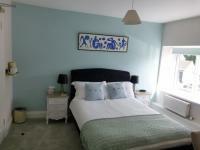 A lovely clean tidy well situated B&B freindly greeting lovely comfortable bed and satisfying breakfast top notch. A pleasant overnight stop,lovely room,great breakfast,very pleasant staff and owners.Slight traffic noise but not to bad. We had a very comfortable night's sleep, the bedroom was spotlessly clean, as was the bathroom and every other part of the building in which we walked through. I think it was the biggest shower we have ever used!Breakfast was delicious and plenty of it and the staff were all very polite and helpful. 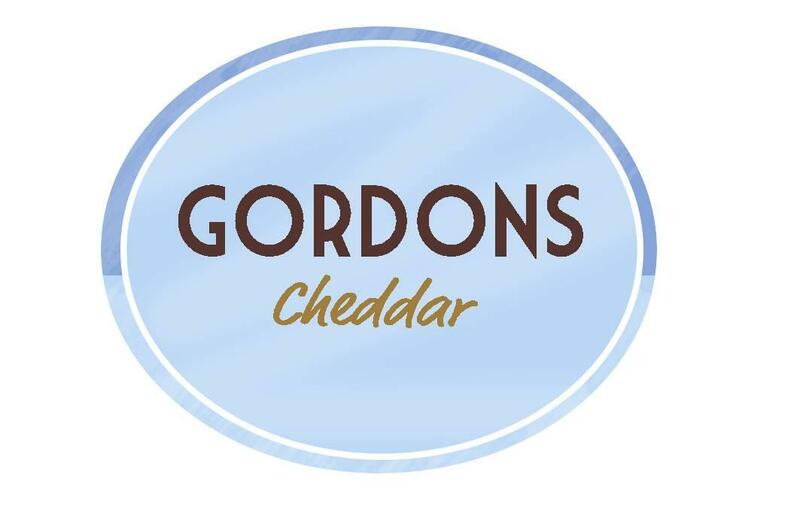 Would absolutely recommend Gordon's and we would choose to stay there again in the future as we are regular travellers to the Cheddar/Glastonbury area. We stayed for 2 nights to visit Cheddar, the hotel is in an excellent location close to all the attractions, shops, pubs and restaurants.Lovely room and excellent breakfast. Thank you for an enjoyable stay, we would highly recommend you. Great B&B in a nice part of Cheddar,very clean room,friendly staff and a good breakfast.My room was on the small side. There was no wardrobe just hanging space but that was limited so if staying longer than a few days in the future I would ask for a room with wardrobes if you have them.My room 14 would benefit from some coat hooks on the door and hanging space where the wicker chair is, you could put a long cushion on the window and use that for seating. Lovely surroundings, warm and friendly owners, spotlessly clean, excellent breakfast, good quality of staff in breakfast room. Fabulous two night stay, while visiting UK from Malaysia.Super friendly welcome with advice with regards where to eat and other places to visit and see. Lovely pool and gardens. Definitely coming back. Immaculately clean. Friendly and polite staff. Delicious breakfast. We stayed here on the way back from Cornwall on Saturday after reading great reviews on the place and they were spot on.The place is lovely and the room was spacious and comfortable.Rory was very helpful with recommendations on where to eat and the local attractions.We would definitely stay here again. Once in a while, you will encounter it:an accommodation that you will talk about days later. We had booked the superior room and were a little early but that was no problem and could check in directly. The owner / manager was kind enough to show the room on the top floor. The room looked like the tasteful refurbishment had been completed yesterday, clearly not using the cheapest materials. Furthermore, almost all the praises from previous reviewers are correct. We stay very regularly in the UK and can see that even many hotels in this accommodation could take an example of how to satisfy customers. To make it completely perfect, the weak and occasionally disappearing WiFi signal could be improved. Competitors of Gordons have a challenge:this is the new benchmark. very clean and tidy B&B, the staff and breakfast are very good. Situated in a charming part of the world, a good stop off for people looking to travel to the southwest. Reminded us that we have forgotten our swimming gear! would stay again. Excellent place to stay.Comfortable, spotlessly clean, good location, friendly and a superb breakfast. Would love to stay again. Nice clean and pleasant room which was serviced adequately during our stay.Breakfast was freshly cooked and there was a good supply of toast!! Situated in a lovely spot, the rooms were very nice, beds extremely comfortable, and bathrooms very high standard. Breakfast was freshly cooked and delicious, and the hosts very friendly. My daughter and I enjoyed our stay at Gordons. Our room was spotless and extremely comfortable. Breakfast was absolutely delicious. Thank you for making us feel so welcome. I had stayed for 2 nights and the location is excellent. The owners are lovely and very happy to help. Clean and minimal perfect to rest after a long day of cycling and hiking. Very relaxing stay for one night and wish it could have been longer.Central location;very easy going hosts;lovely afternoon on their patio around the pool drinking Somerset cider;nice room with bay window in the old stable block;excellent breakfast.Reasonable price for what you get. My wife and I have stayed here several times and every time it has been a pleasure, Tidy rooms very friendly owners and staff, the full English is wonderfully satisfying also the variety of food available. A truly lovely B&B to stay in. It was a lovely pkace with friendly and helpfulstaff. The rooms were clean and spacious and the breakfast was excellent. Great Location. Very friendly and helpful Owners. Great breakfast - freshly prepared as ordered. Everything was very clean. Nice room with a good view to the pool. Even though the b &b is located in the center of Cheddar it is a quiet place. Next time we will stay in this region, we will choose Gordons again! Just used Gordons for an overnight prior to a flight from Bristol. Comfortable,well appointed room (in the annexe). First class cooked breakfast. Although they don't provide evening meals their are plenty of local options. Very convenient for Bristol Airport. We had a friendly welcome on arrival by Rory, who then took us to our room.The room was spotlessly clean and overlooking the gardens and swimming pool. The B&B is right at the foot of the gorge which made for a lovely walk with lots of pubs and restaurants within a few minutes walk.Wells was a 20 min drive and they had a market day which was a lovely bonus. Breakfast was delicious and very well cooked, would definitely recommend staying here. My three nights at Gordons were excellent. Comfortable bed in a peaceful room. Kathy (very friendly and professional) greeted me on arrival and cooked great breakfasts. Highly recommended. Excellent very clean and welcoming hosts very good breakfasts freshly cooked. nicely furnished rooms with good wifi access. really good breakfast with gluten free options too. will definitley be staying again in the future. Stayed two nights and no complaints at all.Proprietors were welcoming and helpful. Lovely comfortable room and great choice at breakfast. Local to places of interest and shops. Would stay there again if returning to Cheddar. Welcomed on arrival and we were given information about things to do locally and places to eat. Great location for gorge and caves all just a short walk down the road. Opposite is the riverside pub. Beautiful area. Room clean and good size. Breakfast was prompt and always greeted with a warm smile. There was a selection of cereals, fruit, juice and yoghurt to help yourself to and a cooked option menu. Only critism was the full English had tinned mushrooms would have been nicer to have fresh. Pool for the summer months too which would be lovely. Thanks for a great stay. Thank you so much for your nice reviewThe only thing we would like to respond to is that our mushrooms are fresh and cooked in butter and not from the tin,We\'re so pleased you enjoyed yourselfs and we hope that you would choose us to stay if you deside to visit the area again! We stayed late september in room 15, a deluxe double. The room was spacious, clean, very comfortable and the smart tv was a welcome bonus! We were greeted by Rory and he was lovely. Very welcoming and informative about the area. Breakfast was superb with lots of choice. The location is great, with all the main sights only a couple of minutes walk away. I would definitely go back here. The price is well worth the service and accomodation. Faultless stay - the room, breakfast and staff friendliness could not have been improved upon. Thank you to everyone at Gordon's! Had a lovely weekend stay at Gordon's. Great base to explore Cheddar. We stayed in the family room with our 2 children which was ideal. A Clean and comfortable room. Our children loved the pool and we were lucky enough with the weather so they spent a fair amount of time in it! Lovely breakfast with a good choice of options. I cannot fault anything at Gordons.Such a brilliant location for the gorge and amenities. Uber clean place with some special touches.Felt at home, highly recommended.Hosts fantastic. Thank you for having us. The Haslers. This must be the most spotless place I have ever stayed. Friendly people and a good breakfast. Off-street parking also a big bonus. Well located for pubs and restaurants. The tasteful furnishing, spacious accommodation and thoughtful amenities give this B &B the sort of restful luxury that this weary cyclist really appreciates;there was even a heated pool. I particularly liked the secure place for my bicycle, making this an ideal stop over for cyclists and others making their way across the Mendips to or from the Somerset levels;the 'Strawberry line' is just down the road, while Cheddar Gorge is on the doorstep. The people here run the place very thoughtfully and rather skillfully and seemed genuinely friendly. We stayed at Gordons for 2 nights.I had the pleasure of spending my birthday there. Fantastic location for exploring Cheddar Gorge. Everything about Gordons is 'Top Notch'.Excellent breakfast, very high standard of accomodation.Very friendly and helpful staff and a brilliant outdoor pool set in an immaculate garden.Would thoroughly recommend here.We intend to visit agaun. We had a fantastic short break at Gordons, Rory is a wonderful host who will give you all of the information necessary to make the most of your vist to the Gorge,caves and village, as well as assisting You with the facilities at the Hotel. We definitely reccomend a break at Gordons. Wonderful perfectly situated. Absolutely top class standards and wouldn't hesitate to book again. Lovely hotel, lovely people really enjoyed our stay despite the wet weather. We go back anytime. Lovely friendly, helpful people, beautiful room, good breakfast.Good location right at the foot of Cheddar gorge, easy walk into to Cheddar village, convenient for buses to Wells and Weston. We very much enjoyed our 3 night, (April 7 - 10th), stay in Cheddar, at Gordons Hotel. Our room was ready/available on our arrival. Very pleasant check in from Rory, one of the owners, he gave us numerous ideas of places to go/visit. Gordons has a fantastic location, near the Tea Rooms, Shops, Restaurants, a few minutes walk from the Caves &the impressive Gorge.Our room was spacious, bright Clean &airy. In the En Suite, we had the digitally controlled Rainfall Shower.Breakfasts were fantastic, a choice of cooked ingredients served by friendly staff, also included, cereals, fresh fruits &toast, etc.We will definetely be returning to Cheddar. Hopefully we'll be as lucky with the weather as we were during our stay, the scenery around is immaculate.Our choice of destination/accomodation will be Gordons Hotel. Very friendly owners and staff, fabulous breakfast, lovely surroundings and very comfortable and clean accommodation. Lovely place to stay. Room was spotless and had all the amenities i needed.Breakfast was amazing snd tasty.Hosts friendly and very helpful.Location perfect for walking roundcthe Gorge. My husband and I have just spent three nights at this hotel to celebrate our wedding anniversary.The hotel is super.It is family run and so friendly.The rooms are lovely and the breakfast was very good.Thank you to Rory and Jola.looking forward to going back in the summer and sitting outside by the pool. We liked the Gordons- very relaxed, extremely friendly, excellent value for money along with a car park!. All of this topped off by a very good breakfast. We stayed 2 nights at this charming Hotel and were delighted with both the accommodation , the friendly staff and the excellent service we received.The position of the Hotel is ideal,with onsite parking and a great pub very close for excellent beer and food in the evenings.We wouldrecommend it highly and will definitely stay here again . Dear Gordon's,Thank you for an excellent B &B experience. Very comfortable room and superb breakfasts.Much appreciated. Excellent facilities and service. We have stayed at "Gordons"virtually every year for the last thirty years and it grows in our estimation year on year. Thank you 'Gordons' for a very comfortable overnight stay and for being so welcoming.Everything was perfect, especially the breakfast. 2nd visit to Gordons! Lovely place to stay. Will be back again. Took my mum to Gordon's for her birthday after previously staying myself, a shower usual the owners were lovely and welcoming, helping us with our luggage.The room was lovely and clean and came with all the things to keep you comfortable, was a lovely surprise to go back to our room after a trip round the gauge to find a bottle of wine for a birthday treat. Breakfast was as usual fantastic with a range of choices and a supply of tea and toast was endless ! Visited the wishing well tea room which we could highly recommend if you like a nice homely feel and somewhere slogjtly vintage and with everything homemade. No doubt I'll be booking again in the near future. Gordon's was exceptional. From the time we checked in to the time we checked out, our experience was perfect. 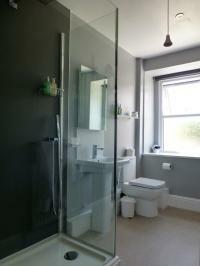 The room was pleasantly decorated, and the ensuite was amazing, with the most wonderful shower controller and screen. The breakfast was most suitable, and the staff we most pleasant and efficient. We would definitely stay again, and recommend without hesitation. Excellent. Making a long journey from the North to Cornwall, Cheddar was an obvious place to break our journey. I was fortunate enough to find accommodation at Gordons. Rooms were extremely clean and beds very comfortable. Excellent breakfast with something to suit all tastes. Nothing was too much trouble for the helpful and friendly staff. Everything spotlessly clean. Rory and Jola very helpful and friendly. Great breakfast and overall very good value. Had a relaxing short break at Gordons', our only regret is that we didn't stay longer.Very friendly hosts, excellent breakfast, peaceful setting, lovely, clean, comfortable room.Ate at The Bath Arms both evenings as the food and service were so good (short walk along the road).Will definitely stay again. Stayed for 3 nights and really enjoyed our stay, the room was lovely and had a nice view of the pool - hosts were extremely welcoming and made you feel at ease and very easy to chat to. Great location for the sights and lovely to be able to come and go as you please, breakfast was delicious and set you up for the busy days "touristing". Have already looked at staying again in a few months time ! Only thing (being a lady is not having a mirror to do your hair and makeup at the dressing table) but undoubtedly the best few days break we have had away - thankyou ! Lovely place, clean and attractive with really attentive staff. Owner is pleasant, helpful and knowledgable. The breakfast is brilliant with high quality ingredients. No evening meals so check out the Riverside Inn opposite for great food and the White Hart for a traditional pub with great beer. Great host , lovely breakfast . Over the years been reluctant to use B&B's (goes back to my childhood), Never again! What a little gem this place is, arrived in Cheddar 4 hours before book in time but thought to ask if I could park in their carpark, not only could I do that but was told my room would be ready and we could book in. Gordon,(the proprietor) came to help with our cases, went on to tell us an outline of the best places to eat and visit. The room was far superior to what I'd expect ofB&B bathroom including not only very fluffy white towels but a sewing kit, shower cap and notebook and pen ( sorry Gordon, took that as a reminder). They have a small bar should want a nightcap but as the room was well stocked with everything including fruit tea's and biscuits the bar not needed for us.Breakfast!! fresh strawberries, fruit, cereals etc:Filter coffee that was offered to you as often as you wanted by their friendly waitress. The breakfast itself, I can only say if I had been blindfolded, I would have thought I'd cooked it myself, hot, good quality food what more could you ask.I would recommend this hostelry to my best friend with the offer of my paying for it if she didn't agree with me. Well done you two, you deserve to go from strength to strength. Had a great stay at Gordon's - was in town for a wedding nearby and the hosts couldn't do enough to make sure I got checked-in and off to the venue on time.The room was fully stocked as you'd expect - extra pillows, hairdryer, plenty of towels, kettle/tea/coffee, etc.Breakfast in the morning was great quality, and although I didn't dive in, the pool areas was spotless and really welcoming.Will be back with hubby in tow to explore the area! Myself and my husband stayed at Gordens for a three day break.We were very happy with our stay.Very good location within walking distance to all the main cheddar attractions.Our room was very comfortable with tea/coffee (topped up daily)hairdryer also is available in your room.Breakfast is;cerals,fresh fruit ,yoghurts and full English (cooked to an high standard) toast and fruit juice.We would defiantley recommend Gordens and we will be staying there again. Very efficiently run hotel, with restful, pristine and comfortable accommodation, friendly staff - and the best quality bacon and eggs I've ever had away from home! excellent nights stay, nice clean room, quiet all night. best breakfast for a long time. I wish all,out of the blue' bookings for hotels were as good as this one. Enjoyable two stay stop over after visiting relative in Bath. Warm welcome by the owners. Given delightful bedroom for the stay. great breakfast great company. Ideal place to stay if visiting Cheddar caves. Good value, even better if more than one night. Would book again, highly recommend to others. Had a lovely stay , rooms spotless , breakfast super, ideal locationand the owner was lovely.Would definitely stay again. Having stayed at Gordon's many times in the past, we were pleased that the new owners have made some pleasant changes. The decor has been modernised giving the hotel a fresher look. Breakfast was as lovely as usual. Rooms clean and comfortable. Really enjoyed are stay. Hope to be back soon. Great hosts, good location, nice room, brilliant breakfast. All you need. 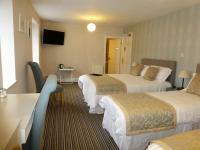 Excellent hotel, ideally placed for visiting the attractions in Cheddar and the surrounding area. Made to feel very welcome. Pleasant clean and comfortable room with free Wi-Fi. Excellent breakfast. Free parking on site. Stayed one night for the Cheddar Festive Night.The hotel's location in the village is good, a short walk to the Gorge and to open countryside.Hotel very comfortable, clean, well run by friendly new owners. Breakfast was excellent, of good quality and served by friendly staff.Thank you. Everything was just right:friendly family reception, quiet room, comfortable bed, lovely room, great breakfast, central position, everything. Excellent accommodation and facilities. Very impressed with the standard of cleanliness.We appreciated the warm welcome and service.One suggestion a hook for a dressing gown an a shelf for toiletries in the shower room would be appreciated. fabulous little hotel, lovely room in the annex, staff all very helpful, will be staying here again, super breakfast too! Excellent accommodation in a beautiful part of the country. First class facilities and wonderful staff.Nothing too much trouble and would love to return some time. As ever, a great stay at Gordons.Best breakfast in Somerset. When we arrived we received a warm welcome and had a choice of rooms as the owners were holding a family party on the Saturday night as they were retiring for a well earned rest and the hotel was in the process of being sold. Yes it is as lovely as the pictures portray and on the doorstep of the Gorge with plenty of pubs and restaurants within walking distance. Rooms are clean but would benefit from a bit of decorating modernisation. Breakfast was excellent with a good variety - fresh fruit - juice - cereal to a full English. The pool is heated to a good temperature although we didn't get to use it, run out of time. We had a lovely time there and was made to feel very welcome however if the sale is completed it will be up to the new owners to carry on the excellent work set down by the family of this gem in Cheddar. Arrived in Cheddar after a long day's walk from Clifton, Bristol.A warm welcome on arrival and a super room with bath awaited. Very comfortable stay made complete with an excellent breakfast. Highly recommended. Thank you very much for taking the time to write such a lovely review, Glad you enjoyed your overnight stay with us and hope the following day, you did not get lost as much as the day you arrived with us. 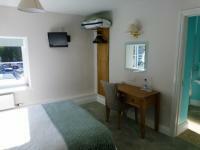 Comfortable room, great service, friendly staff, lovely surroundings. Excellent all round. Sehr freundliche Leute, schönes sauberes Zimmer, gutes Frühstück, gute Lage- alles ok. Thank you very much for taking the time to write a review, We are really glad that you enjoyed your break with us at Gordon\'s. Perfect place for our two night stay!Nice friendly staff and very clean!Breakfast was freshly cooked to order and very tasty!Ideally situated for all sorts of activities in the area. Many thanks for a great stay and will be back! Thank you so much for lovely weekend.very comfortable fell like our own home. We stumbled on Gordons last summer while driving through the Gorge and decided to stay the night. The owner is a lovely welcoming lady and when we arrived at our room in the annex it was beautiful, clean and airy.Breakfast is very good at Gordons and the breakfast staff are also warm and friendly. Our second time at Gordons was just as lovely as the first and we have told all our friends about it!! Friendly staff, comfortable bed, a lovely breakfast and in a beautiful village.What more could you ask for? Hi Olly,Thank you very much for taking the time to write a review for us at Gordon\'s it is greatly appreciated, we are glad that you enjoyed your stay with your wife.We look forward to hearing from you again soon. Comfortable one night stay - room was immaculate, breakfast good and free wifi was a bonus. Good Afternoon.Thank you for taking the time to review Gordon\'s, Glad you enjoyed your overnight stop, and hope the trip in May goes well. Sue Barker. Very nice hotel. Very clean and nicely decorated. Friendly and helpful staff. We would recommend. Thank you very much for spending the time to write such a nice review, we are glad that you enjoyed your stay with us at Gordon\'s. Lovely place!Couldn't ask for any more!Really want to come back again ! Good breakfast, comfortable accommodation, and friendly staff. We stayed here for one night last weekend... the hotel is ideally situated for the Gorge and Craft Village... The room was comfortable and spacious... Breakfast superb !! Pleasant hotel, though our bed was a VERY small double with a very uncomfortable lump down the middle, and in need of replacing urgently. Breakfast plentiful and tasty. Clean and friendly. Very tasty breakfast. Friendly staff.Sleep disturbed by noisy plumbing from other rooms - starting about 6.45 in the morning. Perfect stay. Breakfasts were wonderful. Really lovely, cosy and spotlessly clean.Great breakfast, would certainly stay again. Lovely clean and comfortable B&B. Breakfast was spot on and very well cooked and presented. Would recommend Gordon's to anyone having stayed there twice in a month. Lovely pool too! The hotel was lovely - clean, friendly staff and perfect for a short stay at Cheddar Gorge. It was really good value for money and the breakfast was really yummy.Only down side was the room was really hot and even though a fan was supplied, it didn't make too much difference. Maybe investing in some ac in the rooms would benefit for the summer months. Just returned from a short break at Gordons Hotel in Cheddar. We had an excellent holiday here a couple of years ago, and this visit did not disappoint. Excellent comfortable room and 1st class service from all the staff especially the owner Sue, whose breakfasts are outstanding. The hotel is perfectly situated for visiting the Cheddar Gorge and surrounding area. We will definitely be back..
We would recommend anyone visiting Cheddar to consider staying at Gordons hotel.We had a room in the annex which was bright and airy,added bonus of a swimming pool just at the bottom of the stairs.We had a very warm welcome,breakfast was lovely,staff could not have been more friendly and helpful,we would deffinately stay here again. We had a lovely stay at Gordon's. The staff were very helpful and friendly . The breakfasts were great and the swimming pool a welcome relief after a long day of walking . We stayed for 3 nights and found the hotel very good value for money . Second time we stayed, and will come again. Thank you. Thank you very much for taking the time to write such a nice review. We are glad you enjoyed your overnight stay with us at Gordons.Thank you Sue. I booked accommodation for one of our Engineers and I have heard nothing but praise! He very much enjoyed his stay with you, very friendly and comfortable were his words! Thank you so very much, we will certainly hope to use you again in the near future! Excellent! Thank you so much for writing such a lovely review, We are really glad that your engineer enjoyed his working stay with us at Gordon's. We look forward to working with the Reaction Group again in not the toooo distant future.Many ThanksSue. Friendly and comfortable place. Excellent breakfast and lovely pool too! Will definitely be back, thank you for a lovely relaxing weekend. Warm welcome, clean and comfortable room, good breakfast the following morning.Will return! Lovely hotel all very clean with really polite and friendly staff. Lovely breakfast. Friendly, relaxed staff;very good breakfast;clean rooms. (Rooms in annexe where friends stayed are bigger than in the main building and appear newly furnished.) There's a small swimming pool which we didn't use. Everything in Cheddar is within easy walking distance. Stayed here for one night. Very clean, welcoming and some nice extra touches (biscuit with the tea facilities, shower gel supplied etc). Only slight grumble (and it really is slight) is the menu for cooked breakfast said "vegetarian option"which actually turned out to be the meat option without the meat. I would have expected vegetarian sausage or bacon as that is what was being suggested. The breakfast was delicious though and plenty of it.Would definitely recommend Gordons. Thank you very much for taking the time to write a review for us,And glad that you enjoyed your overnight stay with us. I have now taken on board your comment on the vegetarian options, and now have veggie sausages.Thank you Sue Barker. 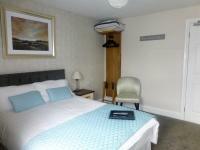 Located right on the center of Cheddar village, Good beds, powerful showers, very clean/tidy, excellent fullbreakfast. Thank you for taking the time to write such a lovely review. Glad you enjoyed your stay with us.Hope all went well with the Bike race, here in Cheddar. Thank you very much for taking the time to write a review. We are glad you had a nice, relaxing time with us at Gordon's. Excellent room, good breakfast, and really friendly staff. Thank you for the time to write a review, I am glad you both enjoyed your weekend away to celebrate your wedding anniversary, with us at Gordon's. Lovely friendly staff, great breakfast and a pleasant room. Thank you. Thank you very much for taking the time to write such a lovely review.Glad you enjoyed your stay with us at Gordon's. Thank you very much for taking the time, to send us a lovely review.Glad that you enjoyed your stay with us here at Gordon's. We stayed at Gordon's for two nights. The hotel itself was really lovely, situated right down the road from Cheddar Gorge (a 5 minute walk!) We were offered a choice of rooms either with a shower or a bath, and we opted for the room with a bath! It was lovely and clean, and was cleaned the next day whilst we were out too. All of the staff were really friendly and helpful, and breakfast was alright, good variety (although it was a bit early for us!). We will definitely be staying here again. Thank you very much!! We stay here every year as we love Cheddar and this hotel is ideally located within 5 minutes walking distance of the village and gorge. Always a warm welcome, comfortable rooms and generous breakfast. This also makes a good base from which to explore the surrounding area! Hi Katy, Thank you for that lovely review, It was lovely to see you and Ryan, and catch up on all your exciting news especially your new arrival. look forward to seeing you both again soon. Really nice hotel, warm and cosy, lovely room, good breakfast. 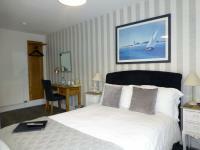 Walking distance to pubs, restaurants and Cheddar gorge attractions. Would stay there again. Thank you very much for taking the time to review Gordon's, and we are glad you enjoyed your stay with us. Such a nice place to stay. Cosy and Lovely. This Hotel is one of the best I have ever stayed in. The room was very comfortable and clean. Breakfast was excellent and location good for village facilities. We stayed at "Gordons"whist attending a family celebration. The Hotel is extremely comfortable and the lady owner is very friendly and welcoming. The rooms are lovely and clean, nicely decorated with comfortable beds. Breakfast was delicious. Would definately stay again. Great location to explore Cheddar Caves and Gorge. Friendly staff and a very warm welcome. Room clean and tidy but we prefer rooms that include an en-suite shower and not just a bath.Looking at other reviews, it appears that some rooms have showers but that was not offered to us. Apart from that little gripe, everything else was fine and the breakfast was excellent.There are plenty of good pubs and restaurants nearby providing excellent evening meals. lovely , clean , welcomimg , friendly , pool was a bonus , lovely food , couldn't fault it , would definitely stay again and would recommend it to anyone . Lovely stay, great location, very friendly staff, nice clean room. Comfortable hotel in attractive setting. Excellent service and breakfast. Well worth a repeat visit. 2nd visit to the Gordons.Everything fantastic - room, location, breakfast, staff. Couldn't wish for anything better! I was only there for one night with a hiking group who were scattered around Cheddar. 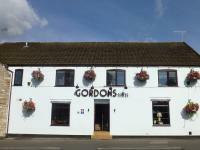 I chose Gordons because of the locality to the Cheddar Gorge and its selection of pubs nearby. The hotel itself was very nice. I stayed in Room 2, which was a good size with a double bed and en-suite bathroom with a shower. I had a room overlooking the main road, but with very little traffic there was little noise that bothered me during the night. Everything was clean and tidy;however, there was a long black hair on the sheet, which wasn't mine as mine is short and brown. Apart from that the only issue I had was with the toilet. Every time it was flushed it set off a loud noise (I can only assume within the tank) which went on for some time only to stop and then start again. During the night someone must have flushed in another room and this came through to my room, which subsequently woke me up early morning.Breakfast was lovely with a selection available from the buffet table that you could help yourself to. On offer was tea/coffee/juices/cereals/fruit and yoghurt. It was also possible to order a cooked English breakfast or (as I did) a Vegetarian breakfast, which consisted of eggs, mushrooms, tomatoes and beans.Overall, my stay, albeit for one night, was very pleasant and I would recommend Gordons as a place to stay while visiting Cheddar. I haven't given a full five stars because of the toilet/tank issue, but other than that I couldn't fault Gordons or its hosts.P.S. There is also a pool available for guests, which I believe is open from May-September and unfortunately I didn't have the opportunity to try it out...maybe next time! Wonderful stay yet again.Clean, Friendly, and conveniently located.Breakfast was fresh and very tasty.Thank you for a super stay again. Only stayed one night but lon]vely weOnly stayed one night but lovely welcome, lovely sleep, lovely breakfast, all in all a good stay. Great accommodation, very friendly and wonderful breakfast.Will definitely stay again. We recently stayed at Gordons Hotel. We thoroughly enjoyed our stay. Levels of service, cleanliness and friendliness are 1st Rate! PS Brilliant Breakfast. Will visit again as soon as possible. I am so glad that you both enjoyed your weekend stay with us, and it lived up to your expectations. We had a great stay the welcome was warm the room was great. Cheddar was a hoot and breakfast was just what the doctor ordered. If we are back in Cheddar any time I cant see us staying anywhere else. Thank you very much for the review it is great to hear that you enjoyed your stay with us.